8 Kb de RAM de trabajo. Hasta 2 Megas en bancos de 64 Kb. Parte consumido por el CD y el Memsave. 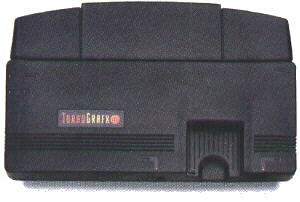 La Turbografx, 30 * 19 * 4 en plástico gris oscuro. Una caperuza protege el bus de expansion y la toma de corriente (10.5V DC 780 mA, +C*-) situadas en el tercio superior. 4 estrias en la parte baja junto al logo y el conector HU-CARD. La PC Egine, del tamaño de un Discman. Controlado por el chip HuC6260 de 16 bits (de ahí el eslogan de gráficos de 16 bits. La CPU dispone de instrucciones específicas para mover datos al chip gráfico. Resolucion programable desde 8x1 a 512 x 242 con 512 colores disponibles. Los juegos usan habitualmente 256x224 y 320x240. Los colores se organizan en paletas de 16 colores. Cada sprite dispone de una paleta, pero la paleta es independiente para cada sprite. La tabla de sprites tiene 64 entradas y un límite de 16 sprites por scanline. La PC Egine fue un terremoto en el mundo de consolas 8-bits. Arrebató el trono a la Nintendo Familicon en Japón, haciendo que tuvieran que responder con las 16 bits MegaDrive y SuperNintendo. Su fama es tal que en pleno reinado del Spectrum se comienza a importar y adaptar de Japón, antes de la aparición oficial de la Turbografx PAL. El lanzamiento del CD ROM hace que todas las revistas de videojuegos le dediquen reportajes. Capri, un distribuidor ingles de consolas, cambia a Capri CD por ello. En España, antes del muy tardío y mal llevado lanzamiento de la Turbografx, un par de tiendas especializadas y - curiosamente, como le pasa a la Neo Geo luego - el canal pirata de copiadores de cartuchos, se reparten la distribución tanto de las HU CARDS como luego de las Turbo Duo y los CD ROM (la unica Turbo Duo en que he llegado a jugar la probé en el domicilio de uno de estos, al comprarle mi 1040 STE; asimismo, pude ver una Neo Geo de cartucho mucho antes de su comercialización). Comercialmente solo El Corte Inglés tuvo la distribución de la TurboGrafx (curiosamente, para animar a la compra, regalaron un Dragon 32 o 64 por cada Turbografx), pero el surtido de juegos era escaso y ni siquiera estaba en todos los centros de Madrid. Cada vez mas relegada al ostracismo por avalanchas de Megadrives/SuperNintendos/MegaCD/Gameboy/GameGear acaba saldada a unas 7.500 ptas con 2 juegos y las HU CARDS a menos de 500 ptas cada. Pero es que los incondicionales ya tenian las TurboDuo y las PC Egine con el CD desde hace años, y el publico miraba mas el numero de juegos que la calidad o la potencia (había mas cartuchos para la muerta Nintendo NES). Es como si en plena comercializacion del Spectrum +3 nos viniera un distribuidor oficial a vendernos el querido Specci de teclas gomosas. VPCE "Virtual PC Engine". An old, freeware emulator for DOS, MacOS, RiscOS, Unix and Windows. Maintained by Jens Christian Restemeier. PC-Ngine A freeware, HuGo-based emulator for Dreamcast. Maintained by Emanuel Schleussinger. TGEmu An open source emulator for BeOS, DOS, MacOS and Windows. Maintained by Charles McDonald. Magic Engine A shareware emulator for DOS, MacOS and Windows. Supports any HE System, from CoreGrafx to Arcade CD-ROM. Maintained by David and Cédric Michel. XPCE "DirectX PC Engine Emulator". An open source, FPCE-based emulator for Windows (PC-AT/PC-98). Maintained by Hmmx. RiscPCE An old, open source emulator for RiscOS. Maintained by Paul Clifford. FPCE "Free PC Engine Emulator". An old, open source emulator for DOS (PC-AT/PC-98) and PlayStation. Its source code may still prove useful to curious developers. Maintained by Bero. HuGo An open source, XPCE-based emulator for DOS, Linux and Windows. Maintained by Zeograd. Neco An open source SDL using emulator for BeOS, Linux, and Windows. Mappy A tile-based map editor for DOS and Windows. Supported by Magic Kit and HuC. Maintained by Robin Burrows. TurboGrafx Internals Includes a complete documentation about the HuC6280 opcodes and memory map. Many sections are missing, but the site is still worth a visit. Maintained by Bt Garner. TGHack Info Includes an archive of interesting technical information about PCE/TGX internals. Maintained by Dave Shadoff. I Love PC Engine Includes information about the ROMulator, as well as some tutorials on coding with HuC. 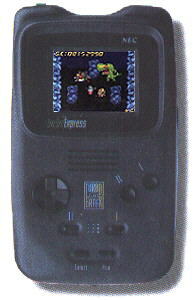 The ROMulator is a hardware device which allows developers to run their own software on a real CoreGrafx. Maintained by Aramis. Magic Kit The definitive HuC6280 Assembler package for DOS, Linux and RiscOS. Includes thorough technical information about PCE/TGX internals, as well as in-depth tutorials on coding sprite routines. Maintained by David Michel. HuC A powerful PC Engine C compiler for DOS, Linux and Windows. Fully supported by Magic Kit. Maintained by Zeograd. Hu6280/MacOS A PC Engine/TurboGrafx16 Emulator for the Macintosh with reasonably good compatibility. Includes a copy of the Jamanoid ROM, developed exclusively for use with Hu6280. PC Enginefx.com Information and images of the NEC PC-FX covering the PC Engine, Playdia, Dreamcast, J-POP, and NeoGeo Pocket. 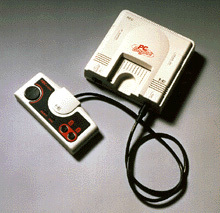 PC Engine DE Information, tips, games, hardware, and software. PC Engine.net Excellent resource for PC Engine related information, including screenshots, reviews, and console information. Turbo List home page This is the place to find the Turbo-List mailing list. The Dark City Productions Duo Pages Information about the PC Engine/Turbo Grafx 16, a Valis homepage, and the Error Archive (screens displayed without a Super System^3 card). Turbo Grafx Addict Provides cover scans of both Japanese and United States release games. Jadeite's Turbo Grafx-16 Page Dedicated to the Turbo Grafx-16, Turbo Duo. Duo Planet Italy Italian website for Duo gamers worldwide. Games exchange, guestbook, and Duo links. TurboGaming - The Original Un-Official TurboPages new home Find all you need to know about the TurboGrafx, and Turbo Duo.